Ching Mars’s CAX series beacon lights are perfect for use under harsh conditions. The company started out by making warning lights, and then expanded its product category to xenon strobe lights, light bars, sirens and various strobe lights to boost its presence in the line. Decades of focus on R&D and customer satisfaction has seen company build solid ground in the global supply chain of automotive strobe lights, as well as become a world-caliber OEM (original equipment manufacturer). 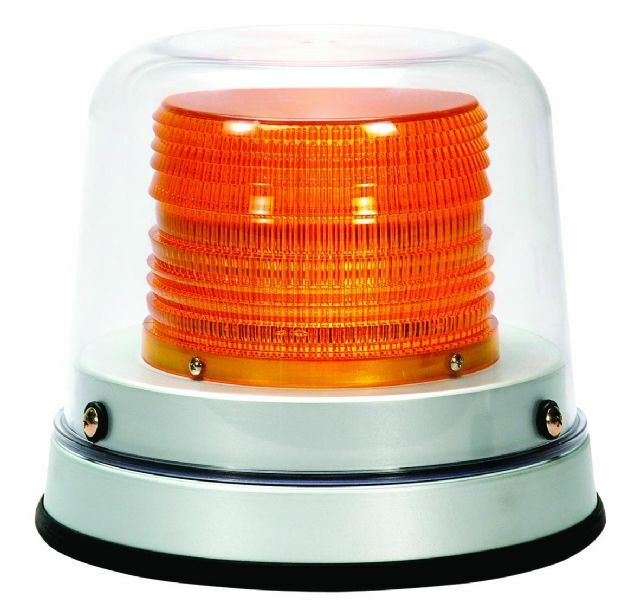 The firm supplies a wide spectrum of automotive warning and strobe lights, including multi-voltage strobe lights and LED strobe lights, light bars and sirens, LED light bars, siren amplifiers, security strobes, emergency lights and spotlights, AC strobes, rotary lights, signal lights, traffic batons, back-up alarms and JSPS strobe lights, as well as motor sirens and megaphones, safety equipment and power window switches. The supplier's products, from incandescent rotating and flashing beacons to gaseous discharge strobe lights and LED emergency and warning lamps, all are noted for excellent functionality, and mostly carry certifications such as SAE, UL, CE and E-Mark to show unquestionable safety and quality. 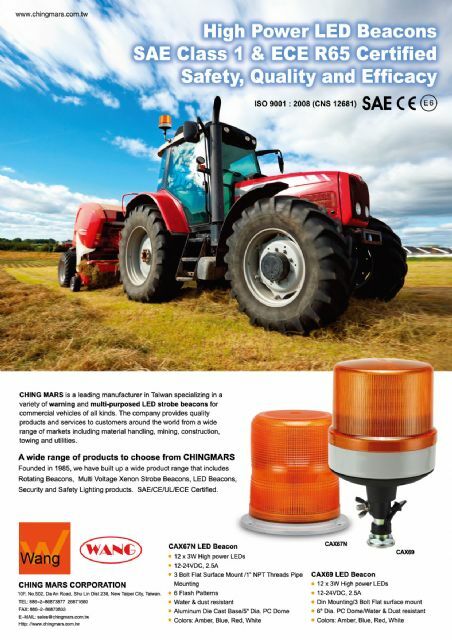 For instance, Ching Mars's LED amber warning lamp series result from its time-proven manufacturing and R&D capability, and have passed Class 1 and Class 2 tests required by SAE International to show world-class safety. Another popular lighting product the firm has developed and marketed globally is the LED light bar series, which have sold well among end-users for high quality and various exterior designs. With the dome made of polycarbonate for durability and lightweight, the series adopt high-brightness LEDs which are tested for long lifespan and are available in several colors, including amber, blue, red and white. Also among the firm's hot-sellers is the CAX series LED beacon light. The CAX67N LED model is built with 12 3W high-power LEDs, and three-bolt flat surface mount for high brightness and easy installation, coupled with a base of die-cast aluminum and PC dome to feature excellent weather resistance under all conditions to assure fail-proof operation. The light has six flashing patterns and is available in colors of amber, blue, red and white. Ching Mars’s CAX68 beacon light.